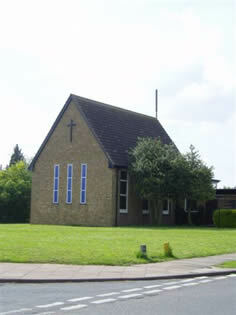 Northumberland Avenue Methodist Church is a neighbourhood church established 50 years ago on the Mildenhall Road housing development in Bury St Edmunds. About 25 people meet each Sund ay. A friendly and well-supported ladies' meeting meets on Wednesdays at 2:30pm, often with an interesting guest speaker. Every Wednesday at 2:30pm. 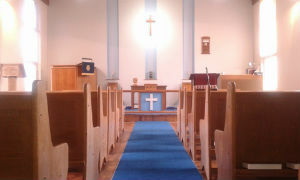 Our current programme can be found under "Church Life". WITH A PHOTOGRAPHIC EXHIBITION FROM "TRUDI HUDSON PHOTOGRAPHY"
Meet our Minister, Rev Debbie Borda - Take a look inside our chapel and premises - Discuss hire of our church hall, kitchen and premises - Ask about our Sunday Services and Women's Fellowship … Or simply pop in for a cuppa! Would you like to rent one of our rooms? Based locally in Bury St Edmunds on the Howard/Mildenhall Road estates, we have three rooms to hire, ideal for children's parties, family gatherings or for clubs to use regularly. Disabled access is available at the rear of the building together with accessible toilet plus baby changing facilities. There is also a fully equipped kitchen. Fellowship Room- 15' 10" x 19' 3"
Club Room- 34' 8" x 17' 10"
Annexe: 23' 6" x 17' 0"
For more details, contact Valerie Fairley - 01284 763882 or message us on Facebook.